As a client, you will develop a confidential relationship and follow a 6 Step Plan to ensure that your objectives will be identified. The beauty of your plan will be your ability to change it. This kind of flexibility is to your advantage because your goals will change as time goes by. There’s no need to put off planning. The time is now. 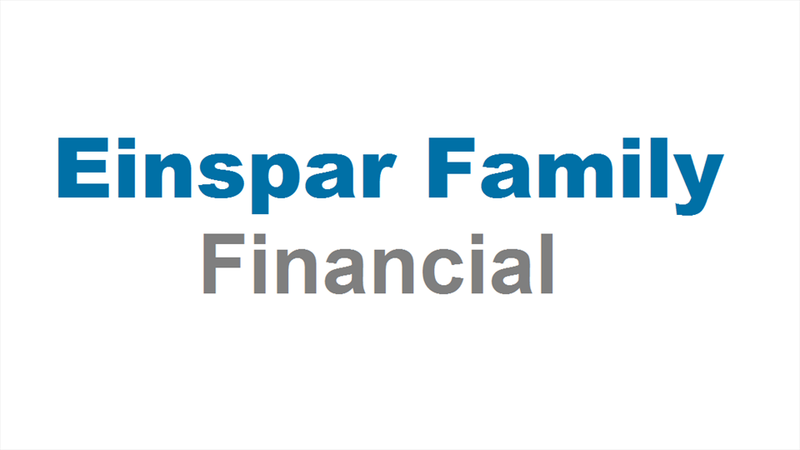 Creating a plan with a professional Financial Planner from Einspar Family Financial, will help you to know where you want to be and how you’re going to get there. Isn’t now the right time to start planning for your life? Step 1: No Obligation Discovery Interview. At this meeting, a specially trained Financial Planner will listen to your financial concerns and discuss what financial planning can do to help you pursue your financial objectives. Step 2: Gather Information. If you decide to purchase financial planning services from Einspar Family Financial, we move on to the next and most important step: data gathering. This is where we learn about all of your financial goals, objectives, assets, liabilities, income, expenses and other relevant information. The foundation of a sound financial plan is having a clear understanding of who and what you are. This information is kept strictly confidential. Step 4: Plan Presentation and Delivery. After all of the alternatives and information is analyzed, a final plan will be presented to you. The final plan is a written document prepared especially for you by your planner. It contains specific recommendations designed to help you seek your financial goals and objectives. Step 5: Implementation. Your Financial Planner, acting in a registered representative capacity, will explain how you can act on the specific recommendations in your financial plan by purchasing financial products. Financial products may be purchased at any institution you choose. Step 6: Monitor and Update as Needed. In life, one thing is constant: change. Each year, and perhaps more frequently, your income, investments, assumptions, and objectives will change. This is why your Financial Planner stands ready to monitor and update your plan as needed. I want to strive for better return on my investments. I don’t mind paying taxes, but I want to keep more of my money for me. I want to prepare for funding my children’s education as best as possible. I don’t want to worry about running out of money during my retirement. When it comes to my investments, I want to know that I am "on track." I want "X" for "X" by "X." Financial Planners have the experience, the tools, and the know-how to help you work towards your financial dreams.